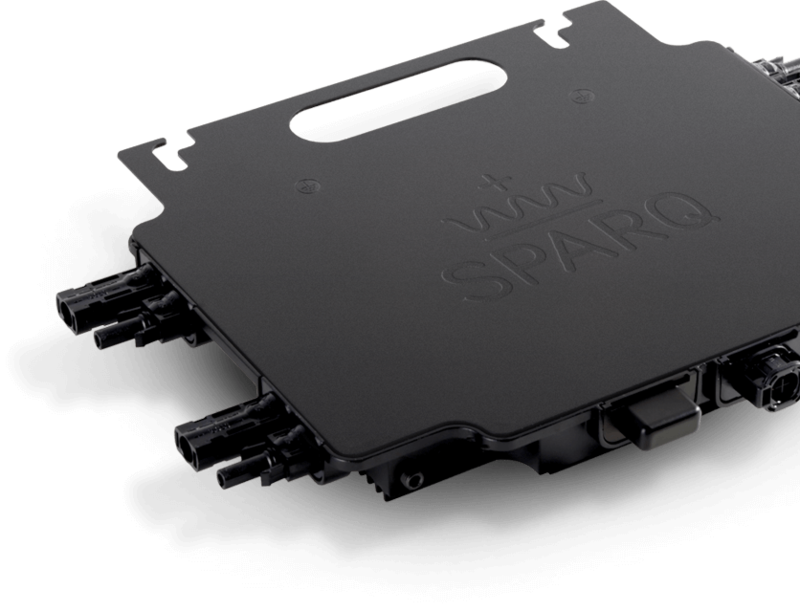 SPARQ is pleased to introduce the Quad - a revolutionary, new microinverter that is resetting industry standards for cost, ease of installation, reliability, energy harvest and advanced grid functions. Uncomplicated to engineer. Easy to install. Simple to monitor. Spending less time on every step of each project saves money. We design with the big picture in mind: Components that are built to last. Designs that help keep rooftops safe. Solutions that are Smart Grid-Ready, with adjustable reactive power. Our motto: more power at less cost. Fewer units means less BOS and quicker install times. Ultra-low startup / shutdown voltage and patented per-panel MPPT maximize power harvest. Determine your average annual energy consumption by summing the last 12 months of kWh energy usage from your utility bills. 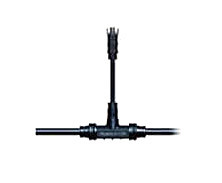 Use the annual energy to help select the system size. 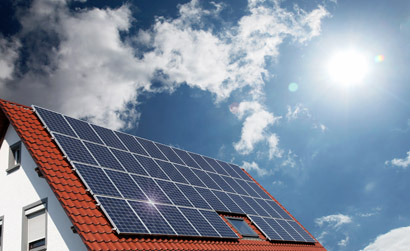 Entering your address or zip code, select the solar resource data and go to system info. Set DC System Size to 1. If mounting the system on your roof, enter the Tilt (slope) and Azimuth (angle rotated from north). Press Go to Results. Divide the annual energy from step 1 by the PV Watts result to get the system size in kW needed to offset all of your electricity usage. 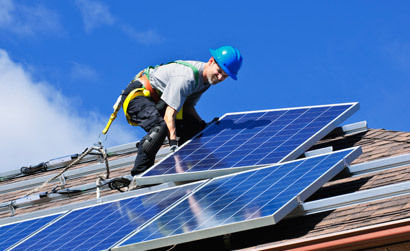 Divide the System size calculated in Step 2 by 1.2 to determine the number of Quad microinverters needed to offset the annual energy consumption. Round this to 3. Each Quad will be connected to 4 PV modules. Size the PV modules for peak output between 300 and 350W per 60 cell module. Each Quad will need a Trunk cable branch connector. The Trunk cable will need an end terminator cap. A SparqLinq gateway allows the system to be monitored.An AC disconnect tool and a DC disconnect tool are recommended for maintenance. 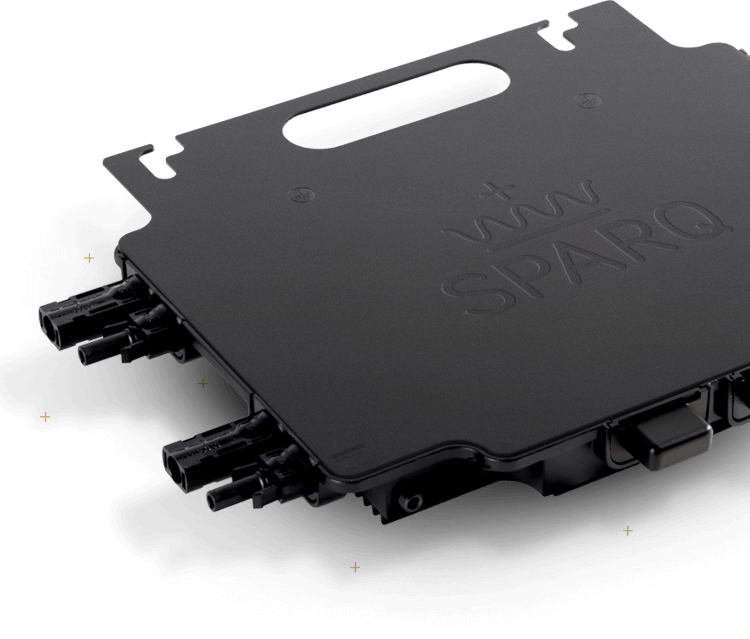 Sparq accessories to complete your build. 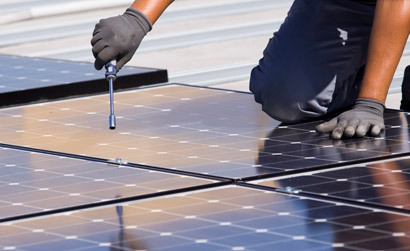 The AC Trunk Cabling system enables the solar installer to cost-effectively match the cabling needs to each site. 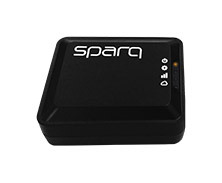 The SparqLinq is the SPARQ gateway used to provision, monitor and maintain the SPARQ system. Setting it up is fast and easy, and consists of connecting it to the network and following the installation wizard. 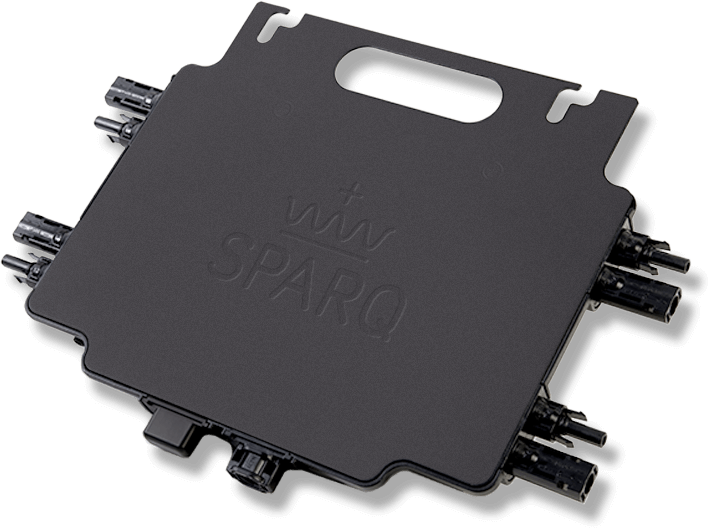 Take a look at other Sparq accessories. Do you have any questions or are you having setup troubles. 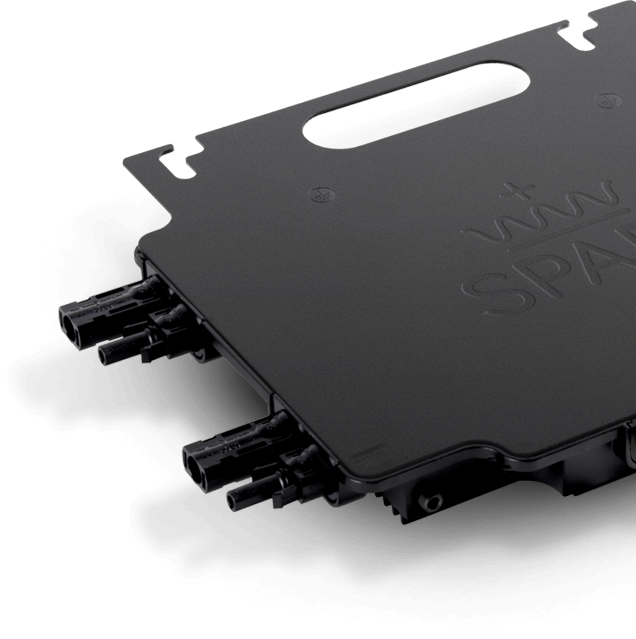 Take a look at our support section to find all the information you need to have a clean build. Head over to our resources section to download the latest product information and setup guides. Learn all about our process and the latest and greatest things happening in the industry. Tired of dealing with clunky inverter monitoring? 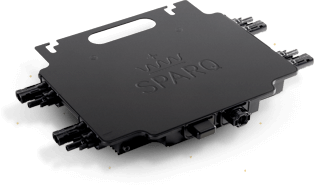 Our wireless gateway SparqLinq communicates with the Quad 1000s via ZigBee, and stays in touch with either Wi-Fi or Ethernet. System commissioning is all wireless, and our designs are mobile-first. The app’s on us, so leave your laptop at the office and tap into your tablet or smartphone.